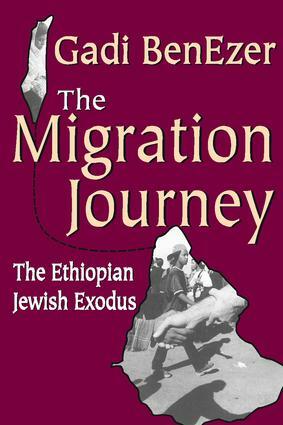 Between 1977 and 1985, some 20,000 Ethiopian Jews left their homes in Ethiopia and embarked on a secret and highly traumatic exodus to Israel. Due to various political circumstances they had to leave their homes in haste, go a long way on foot through unknown country, and stay for a period of one or two years in refugee camps, until they were brought to Israel. The difficult conditions of the journey included racial tensions, attacks by bandits, night travel over mountains, incarceration, illness, and death. A fifth of the group did not survive the journey. This interdisciplinary, ground-breaking book focuses on the experience of this journey, its meaning for the people who made it, and its relation to the initial encounter with Israeli society. The author argues that powerful processes occur on such journeys that affect the individual and community in life-changing ways, including their initial encounter with and adaptation to their new society. Analyzing the psychosocial impact of the journey, he examines the relations between coping and meaning, trauma and culture, and discusses personal development and growth.